Managing Director of Guy Simmonds, Stephen Taylor says that “there is currently a high level of new entrants to the trade seeking profitable freehold and leasehold going concerns – especially where the business offers a separate designated restaurant facility. We are especially encouraged at Guy Simmonds to report that since interest rates were reduced to the new all time low of 1.5%, the consequence has been an increased number of potential new entrants to the trade. Ironically this is not due to lower borrowing costs but instead the fact that since savers are now receiving a negligible return on their savings a profitable freehold or leasehold business now offers an especially attractive return on capital for cash buyers – in addition to providing the operator and family a home and lifestyle. Our corporate re-training courses are also resulting in increased viewings of restaurant/inn operations, especially from people who are being made redundant from the financial, motor, manufacturing and retail sectors. If valued correctly in the current climate a leasehold restaurant/pub business can culminate in an annual return of around 50%-100% on capital invested (eg 1-2 x net profits) whilst a freehold business should produce 10–20% annual return. By establishing a successful restaurant operation the value of the existing pub business is also greatly enhanced since a going concern is valued relating to a strict criteria relating to the net profits achieved – as verified by the trading accounts. The obvious attraction of acquiring a business with a separate restaurant is that providing the business is run properly the gross profit margins can be extremely healthy – around 60%. Furthermore, especially since the smoking ban adversely affected the pub trade and ‘local boozers’ – a restaurant is now sometimes a necessity to appeal to a wider and diverse audience, hence restaurants are extremely sought-after by purchasing clients. We have also noticed a demand for premises with the potential and space to incorporate a new restaurant into the existing building. Naturally it is absolutely essential for new operators to accurately cost the increased overheads this will incur, eg staff, chef, utilities etc, in addition to the necessary quality fixtures and fittings and kitchen equipment – which could easily culminate in initial set-up costs of over £50,000. However, since the original rent/mortgage costs are inherently fixed then this additional income stream can be extremely lucrative and enhance the re-sale value of the business – subject to profits. Also if one of the owners/operators is a chef, then the labour costs can be strictly controlled or reduced. 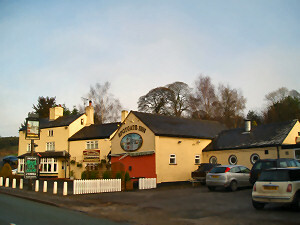 Currently on the market with Guy Simmonds is The Spotgate Inn - a truly unique restaurant/inn business in the affluent village of Spot Acre, Staffordshire. 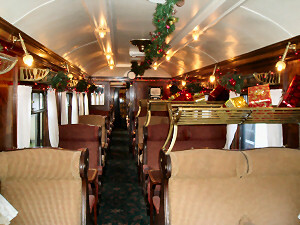 The restaurant comprises of 2 original Pullman Railway Carriages – converted into a superb separate 62 cover restaurant. In addition the attractive property comprises: a contemporary lounge bar seating 30, snug for 20, conference suite for 30 as well as impressive owners accommodation. This thriving multi-faceted business has a trade split of circa 70% food, 30% wet with an annual turnover of around £860,000 (incl. vat). Reconstituted net profits are approx. £100,000 (after paying rent). The business is priced extremely realistically at £149,950 for the leasehold interest, effectively offering purchasers the opportunity to recoup their capital outlay in well under 2 years. 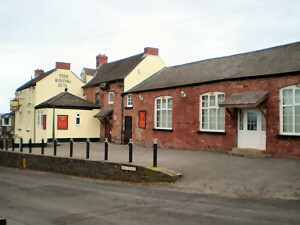 Recently sold by Guy Simmonds is The Rising Sun at Bream in Gloucestershire. 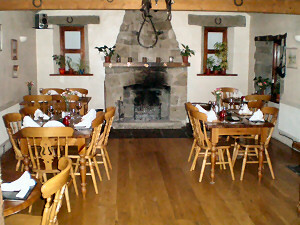 This lovely freehold village inn with separate restaurant overlooks the village cricket pitch. The attractive restaurant with approx. 40 covers has an open fireplace, wooden flooring and exposed stone walls in addition to a lounge bar (20) and function room (40) plus 5 x lucrative letting bedrooms. The turnover was circa £225,000 (incl. vat) split approx. 47% food, 48% wet and 5% letting, resulting in a reconstituted net profit approaching £60,000. The profitable freehold going concern sold off an original asking price of £499,950 – giving the new purchaser an excellent return on freehold investment, with genuine further growth potential.